Law enforcement in Christian-majority Angola shut down at least nine churches this week as part of “Operation Rescue,” citing poor conditions and lack of security for worshippers, the Agencia Angola Press (ANGOP) outlet reports. Under rules implemented in 2015, churches must collect 100,000 notarized signatures with copies of identification cards from people across a third of Angola’s 18 provinces to operate in the mostly Catholic country, the state-run Jornal de Angola revealed that year. Some Christian leaders argue that the measures amount to religious persecution. Last month, the Guiame news outlet warned, “The Angolan government will close churches that are not legally recognized as of November, through the extinction of platforms that allow the operation of denominations that are not within the  requirements. According to official estimates, about 1,220 religious denominations are not recognized, but the number may be much higher. Only 81 churches are within the legal requirements in Angola. On Tuesday, ANGOP revealed that police officers closed down the nine churches, located in the provincial capital of Lunda Sul. The primary goal of the operation is to restore “the good image and the authority of the State,” ANGOP notes. 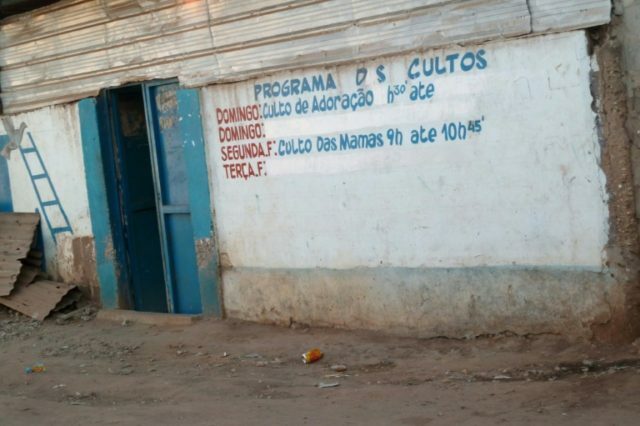 In 2015, the Angolan government banned nine church groups from operating after declaring the worship centers illegal under rules implemented that year. “The Huambo provincial government and the national police have declared the fringe Christian groups illegal under new rules that require denominations to have 100,000 registered members spread across at least a third of Angola’s 18 provinces, the state-run Jornal de Angola said,” according to Reuters. Human rights group reportedly said the ban is a testament to the “the increasing suppression of civil liberties and freedom of speech” under the administration of then-President Jose Eduardo dos Santos, who ruled mostly Catholic southern African country for decades. Citing the political party UNITA, the main opposition group in 2015, Reuters revealed that a police and military crackdown on a rebel Christian sect left “more than 1,000 civilians” dead that year. “Government has control over the main church movements, and it understands what influence they have,” Elias Isaac, Angola’s director at the Open Society Initiative for Southern Africa, told Reuters.